A new report claims it could cause a bigger crisis than the Russian import ban in 2014. Hard Brexit could have a more ‘catastrophic’ impact than the Russian import ban for the EU and UK meat industries, according to a new report published by Europe’s meat industry body, UECBV. The ‘Crisis - The EU Meat Industry in a Hard Brexit Scenario’ report, carried out by Red Flag Consulting, warned the EU and UK would find it harder to find alternative markets for their products than after the Russian ban. The industry would face higher World Trade Organisation (WTO) tariffs than any other sector, as well as additional costs of veterinary and customs checks and major disruption to the entire supply chain. The report called on negotiators to avoid a cliff edge, preserve the existing trading conditions as close as possible and reach a bespoke equivalence agreement on veterinary standards. Exports from the UK to the EU could fall by up to 90 per cent for beef, 56 per cent for pigmeat and 53 per cent for sheepmeat, with the UK struggling to find alternative domestic markets for cuts with low demand. Similar reductions of imports from the EU would lead to a shortfall in higher value leading to massive price increases for consumers. Liz Murphy, chief executive of UK member the International Meat Trade Association said the current uncertainty was making it hard to plan ahead. “The meat industry has a number of characteristics which pose unique challenges to our sector, such as high tariffs and veterinary checks. It added immediate market support measures would need to be in place to address the shock of surplus meat supply on the continent and address the challenges of customs checks. 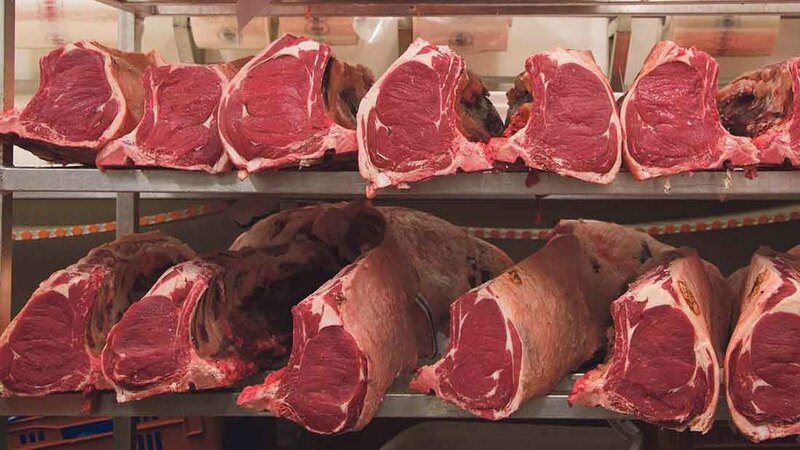 The Scottish Association of Meat Wholesalers (SAMW) said it highlighted the need to deliver a fair and balanced deal.